Updated Sunday April 7, 2019 by Schecksville Registrar. 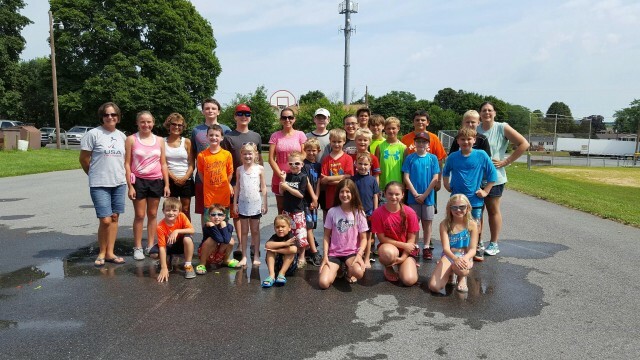 SPA Summer Camp, sponsored by the Schnecksville Playground Association, is a non-profit organization run by volunteers who are committed to providing a safe, clean recreational facility for children of the community (this includes Schnecksville, Neffs, Ironton, Coplay, etc.). The Camp, previously located in Neffs, is now located at Schnecksville Elementary School. We are excited about the move and the use of the expanded facilities. We are updating our name to reflect our sponsor and our new location…SPA Summer Camp. The program, counselors and fee remains the same we are just headed up the road. The four week long staffed morning summer playground program includes arts and crafts, games, sports and educational seminars. Drop-off your child at 9:30 AM or later and pick-up at 11:30 AM or earlier. Make sure playground staff is present!